Completed in the summer of 2017, The Lookout is a sophisticated, opulent space with nautical influences and a rich colour palette of burnt oranges, dark teals and blues. 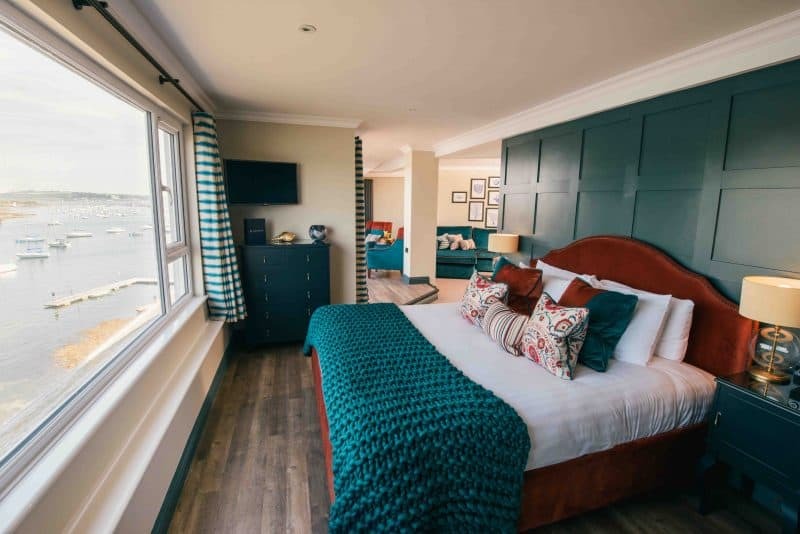 Gaze out at the boats in Falmouth’s historic harbour from the cosy lounge area or balcony, or sit back and relax in your roll-top bath, glass of wine in hand. If you would like to keep up to date with the latest news from We are Cornwall and The Greenbank Hotel, please tick the boxes below.